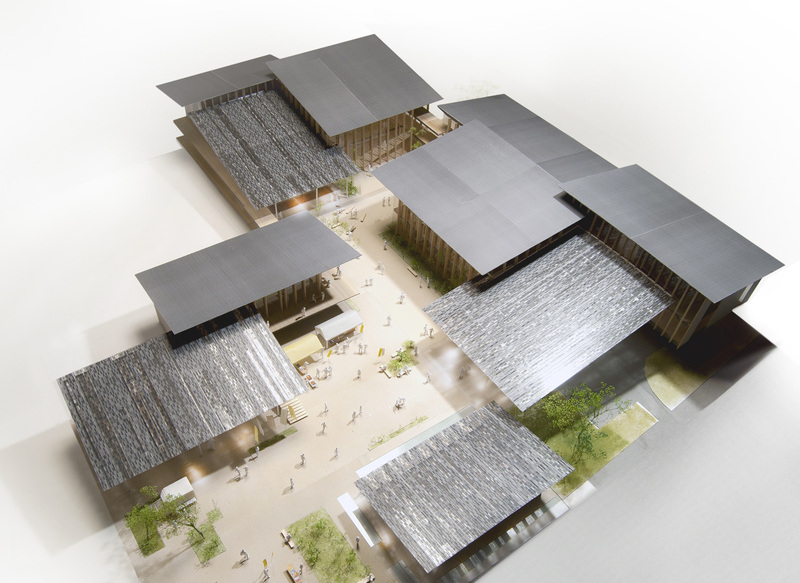 Kengo Kuma & Associates won the 1st prize for the design proposal of a new city hall building for Tomioka City in Gunma Prefecture, Japan. 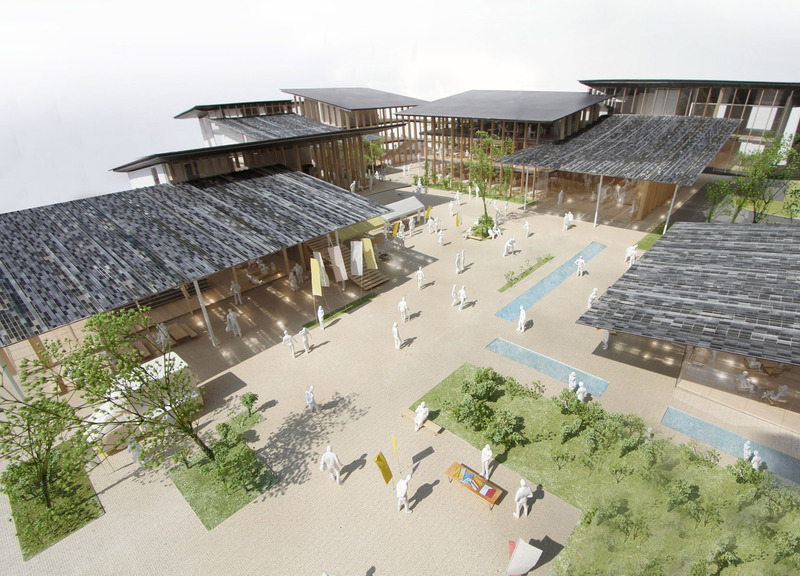 New design was called for to replace the existing building of over 40-year-old, and to match the landscape of Tomioka, currently aiming to be placed on the World Heritage List. It was also requested that the new building be flexible enough to respond to the state of the city, which are faced with depopulation and rapid aging. 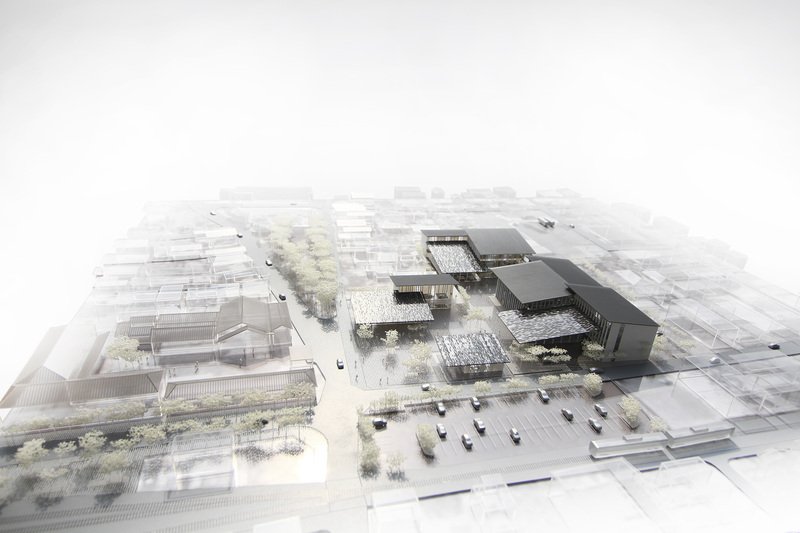 What we proposed was “a group of small roofs,” a branched-off architecture that observes the townscape of Tomioka. 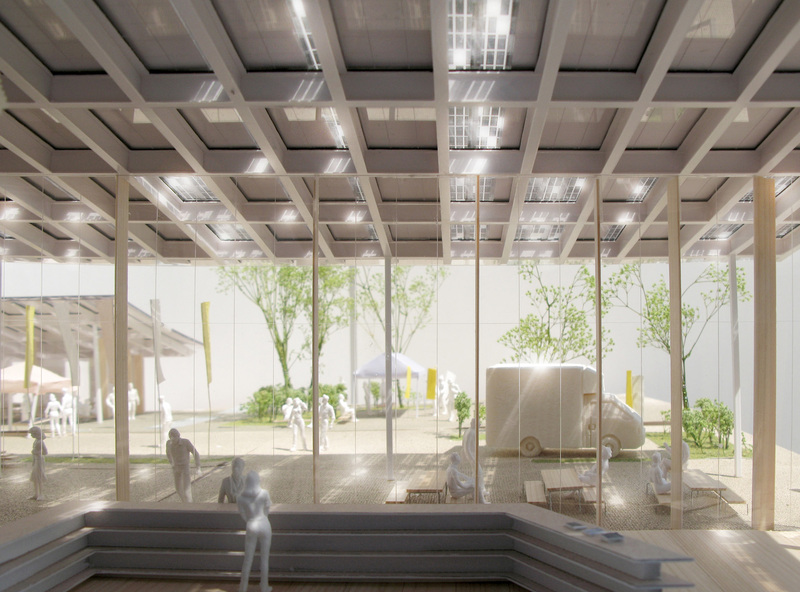 Some of the roofs are for semi-outdoor space to be called “Public Roofs,” which will generate a link between the inside and outside of the building, as well as among the people. In outside we set a “Hook-Shaped Garden,” consisting of a passage and an open space, in which people can come and go freely and enjoy strolling of the city as a whole. This combination of Public Roofs and Hook-Shaped Garden will form a new heart of life in Tomioka.